Commercial Trucks started out as "hand trucks", or small wheeled carts used in the 17th century to move heavy objects such as cannon balls. In more recent times, the first commercial trucks were called "motor trucks" in the early 1900s and simply "trucks" around 1930. Once reliable gasoline and diesel engine fuels became available commercial vehicle production flourished in every shape and form. Small trucks, such as pickups, vans and delivery trucks are often simply body variations built on the same chassis as a car. As trucks get bigger the practice continues with flat beds and box trucks sharing chassis designs. Larger trucks are more specialized, as in the case of dump trucks and semi truck tractors. In the United States the definition of a commercial vehicle is one that is registered to or used by a company; or designed to carry more than 16 people; or weighs more than 26,000 pounds, rated by "class", as shown in the table below. 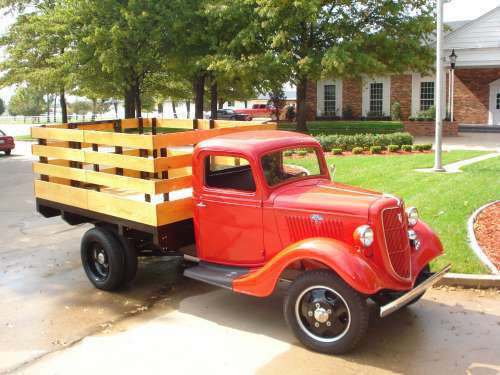 In the United States small and medium size truck manufacturers include Ford, Dodge, Chevrolet and GMC. Isuzu, Mitsubishi, Nissan and Volvo are also common names. 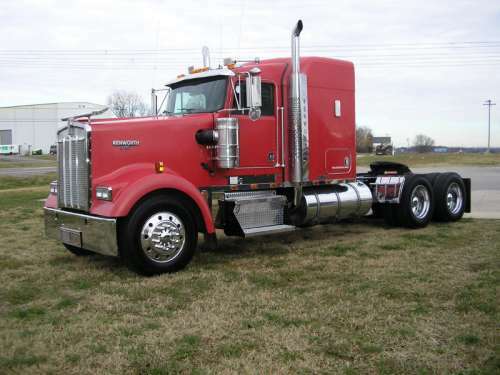 Larger trucks include Mack, Freightliner, International, Kenworth and Peterbilt. 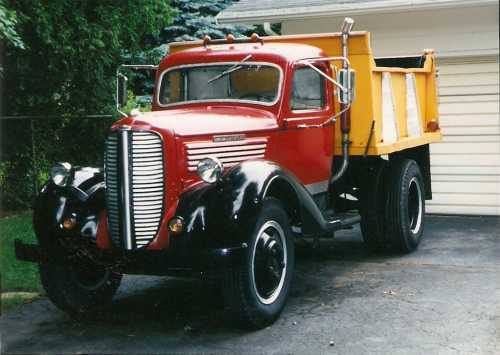 Here are some examples of common types of commercial trucks. Flatbed Trucks have more load carrying capacity than a pickup truck and are typically sold as a bare cab and chassis with optional beds designed for a specific purpose. They come in two and four rear wheel configurations with springs and suspension designed for specific load carrying capacities. Semi-Trailer Trucks, also known as "tractor-trailers", "eighteen-wheelers" or simply a "semis" are towing vehicles that use an articulated connection to attach an assortment of trailers. The connection is made forward of the rear-most axle of the tractor so that the tractor carries a significant amount of the trailer's weight. 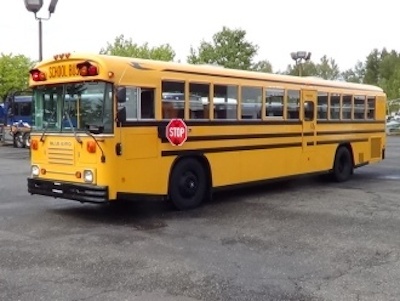 Passenger Buses come in a wide variety of sizes and shapes and are usually designed for a specific application. For example a Greyhound type passenger bus will have a softer ride and more amenities than a school bus. 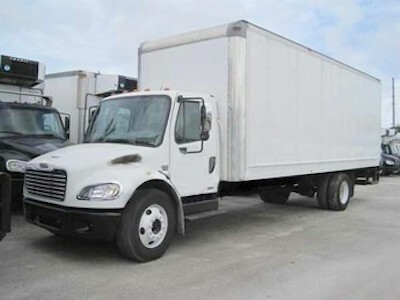 Box Trucks are generally used for local deliveries of furniture and other relatively light weight items. Most box trucks use the same chassis as found under a flatbed truck. Dump Trucks have become the backbone of every construction site. They are built on heavy and strong frames that range from class 3 to class 8 (see below). Limousines are typically built in limited quantities for specific uses. 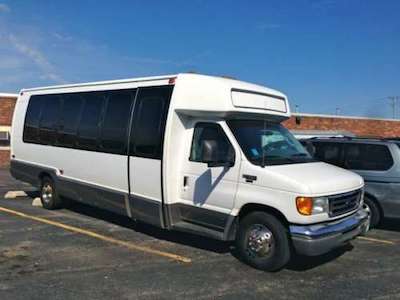 Two, four and six passenger limousines are the most common but they also come in much larger designs to transport groups of people. 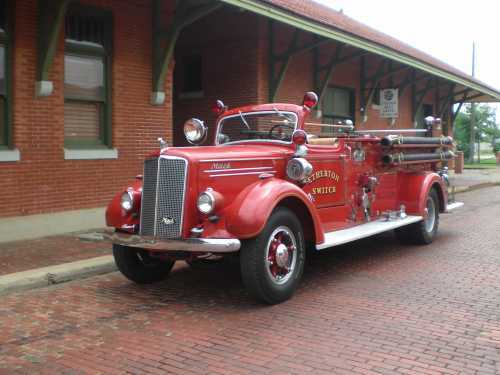 Fire Engines are another example of a specialized commercial vehicle built on a standard heavy duty truck chassis. In this case fire engine designers consider the specific needs of the application, such as size, weight and horsepower requirements of the fire engine and then go shopping for a chassis that comes with the necessary suspension and powertrain components.